When New Zealanders first started swimming in the sea, they wore bulky clothes that covered them from elbow to neck and to knee. By 1910, men’s costumes were sleeveless and cut off at mid-thigh. 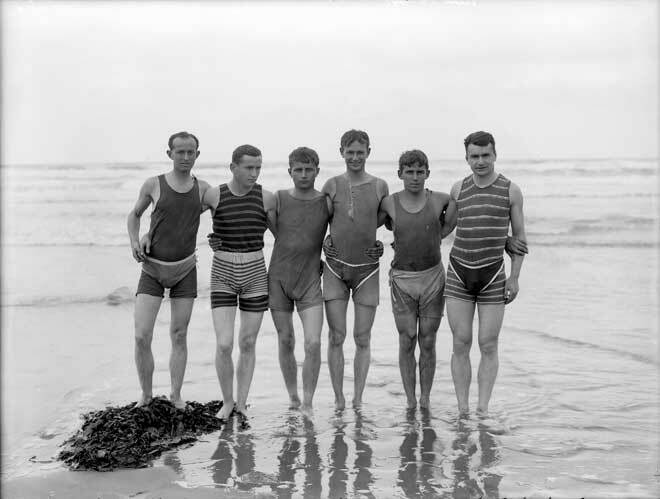 However, as required by some by-laws, many male bathers, such as this group, wore trunks over their one-piece costumes.